Courtesy Photo. Gloucester Daily Times. 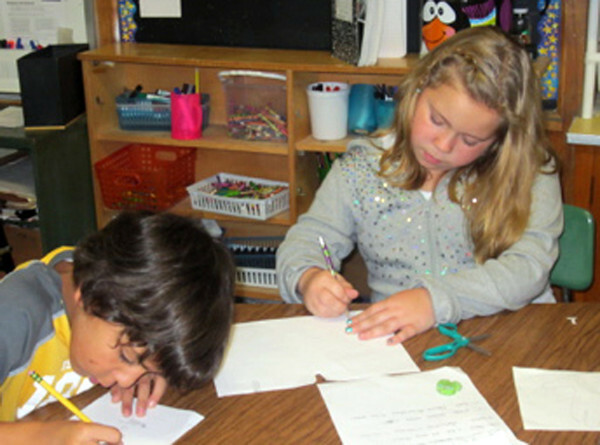 Gloucester: From left, Veterans Memorial Elementary School third graders Joshua Montesino and Talia Pata write Thanksgiving poems recently. Both are students in Mrs. Kailey Mione's third grade class.